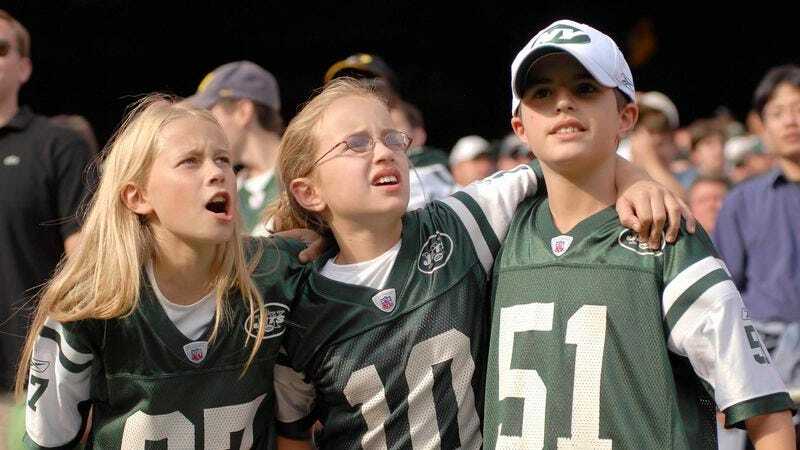 EAST RUTHERFORD, NJ—Excitedly watching the exhibition game in the half-empty stadium, local 13-year-old Josh McNeil reportedly had an overall pretty decent birthday party Saturday night at a Week 3 preseason NFL game between the New York Giants and the New York Jets. “I’ve never been to a game, and my dad said I could only take two of my friends, so Jeremy and Michael came with us, and we actually got to sit in one of the middle levels,” said McNeil, adding that after moving down a few rows to a set of unoccupied seats, his father purchased the boys and McNeil’s two sisters several baskets of chicken fingers to split as they watched the brief first-quarter appearances of Giants quarterback Eli Manning and wide receiver Odell Beckham Jr. “It was still cool watching a game in person even if it didn’t count for anything. We had to leave during the third quarter because it was getting late and Jeremy had soccer practice in the morning. It was, you know…it was fun.” Sources confirmed that McNeil’s party was almost as good as his birthday two years ago when he and several friends attended an MLS game at Red Bull Arena.